Home » Blog » Monday MAYhem – 20% off on Mondays in May with secret word! 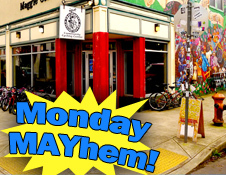 Monday MAYhem – 20% off on Mondays in May with secret word! We’re offering a secret special during the month of May. 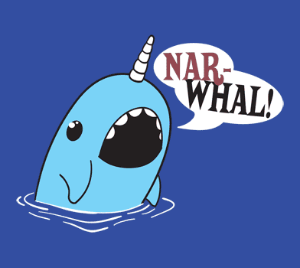 When you stop by the shop on a Monday, be sure to say the secret word, NARWHAL, and you’ll get an amazing 20% off all new and used parts and accessories (including bike frames!). Get ready for spring and summer riding with this sweet deal. We have over 40 bicycle frames and a large selection of new and used parts and accessories for you to choose from. Remember, this special discount is only good on Mondays during the month of May, so you only have three days to take advantage of it (we’re closed on Memorial Day). See you soon!